Ol’ Gappy/Topper (#24-0003) is credited with flying the most missions of all B-17’s: 157. Most B-17’s flew 60-80 missions, if they were not shot down or so heavily damaged that they could not be re-used. Like most Flying Fortresses, Ol’ Gappy ended its days at Kingman, AZ and was scrapped. Remarks: #2 engine blew two cylinder heads immediately after leaving field and was feathered. Unable to climb on three engines and were told to turn back. The target was flying bomb sites. Would have been very easy mission. Very disappointed. A friend of mine, Orr Hill, who died several years ago was gunner on a B-17 named Topper. Its emblem was a top hat and cane and named for the movie character “Topper”. I was only nine years old when the war ended and my friend Orr was a next door neighbor. He often wore his flight jacket that bore the name Topper and the emblem. It also had 36 bombs painted on the back representing the number of bombing missions he was on. I would like to have a photo of the plane if one exists. Hi John! There’s a photo of Ol’ Gappy/Topper on the 379th website here: http://www.379thbga.org/Looking4%201310-1301%20p31.htm You could also poke around their website for more information or even ask them for any information related to your friend, Orr Hill. I did a quick Google search on Ol’Gappy/Topper and had quite a few hits. There is also a Facebook group for the 379th Bomber Group. Search for USAAF 379 bg in Facebook. Often there are photos posted there. Richard Lewis has created a site that is collecting photographs of the nose art of the 379th’s aircraft. You can peruse that site here: https://sites.google.com/site/379thbgnoseart/ Good luck on your search! I know there are photos out there! Doh! Silly me! You could also pull the image off of this site or I can send this to you if you share your email. Thanks! Denny, thank you for sharing. I am sorry for your loss. Ol Gappy/Topper was my fathers plane also. His name was Thomas E. Lilley. He flew a mission on August 4,1944 just the day after the aborted 3rd mission described here.. He was the radio operator. He flew 26 of his 31 missions on that plane. He kept a diary describing his missions also. Unfortunately I never knew of this diary until after he passed in 1985. Thank you for putting this information on the internet as too much of it gets lost with time. Thank you for visiting the website Pat! I’m sorry to hear about your father’s passing but happy to hear you have his diary! Hopefully you can glean some more information about his War experience from that, from websites like this and from other resources. 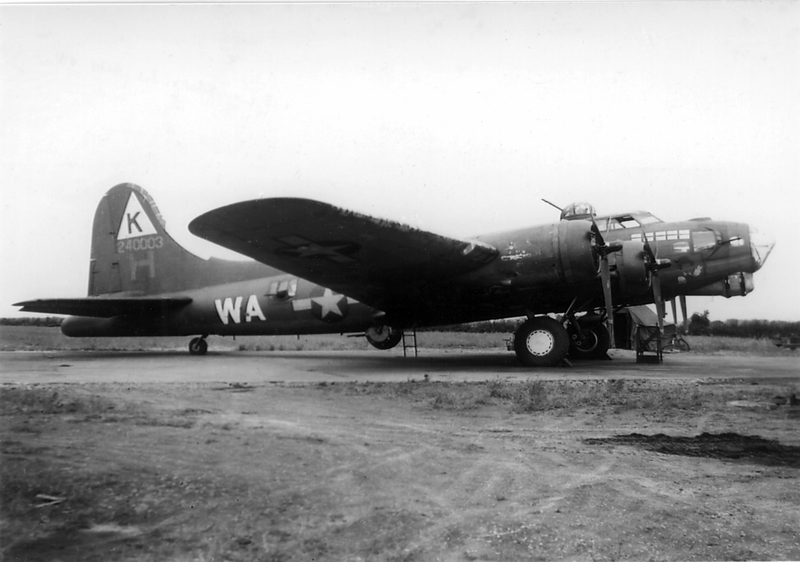 If you haven’t found them already, you might consider becoming a member of the 379th Bomber Group Association: http://www.379thbga.org/index.htm They do a lot to keep the history of this group alive and they have a nice library of items from the National Archives as well as veteran’s memorabilia. Ever year the association has a reunion where you can come and peruse their archives, meet veterans and their families, and participate in excursions to famous sights in whichever city they hold the reunion. The 2014 reunion will be in Memphis, TN. Hope to see you there! Hi Larry! I’m sorry I do not have Pat Lilley McNett’s email. I’m also sorry that I am only now seeing your comment! I hope your quest has been successful in the past 12 months since you posted this…missy. Hi I am pats niece I don’t have her email add handy but if you send it to me I will have her and my father look at the pic my email is lizm376@gmail.com thank you!!!! My dad, Thomas P. (Phil) Moreau was also navigator in the 379th during this same time, and it looks as if he flew in many of the same missions as your dad. He died in the late 1990’s and is forever missed. I am so grateful for his service and that of all those who served with him. Thank you for visiting the website! I am sorry to hear about the loss of your dad. It sounds like you have some information about his service, which is great. So many do not have any information at all, with many finding out only after their loved one has passed. Are you aware of the 379th Bomber Group Association? You can find information here: http://www.379thbga.org/index.htm They do a good job of keeping the memory of the group alive for future generations with a good library of National Archive photos and veteran’s memorabilia. Every year they have a reunion and it’s a nice opportunity to peruse the library, meet veterans and their families and participate in activities specific to the host city. The 2014 reunion will be in Memphis, TN. Hope to see you there! My cousin, Ellis P. Faro, was the navigator on Topper/Ol Gappy for 12 of his 32 missions with the 379th BG 524th BS. He never shared any details of his experiences, like many WWII vets. Only some of the funny things that happened. Hi Dale! Thank you for sharing! I hope you were able to get a feel for his experience during the War through this website. Cheers!…missy. My Dad flew 25 missions on “Topper” as the pilot. His name was Paul E Horton. He bombed Dredin his co pilot was Gunderson. he was shot out next to dad and survived. Dad never talked about his time in the war nor did he have the desire to fly again. I have his log book. Hi Katherine! You should share your dad’s log book! It’s amazing how many people find these pieces of history and enjoy reading them. Larry, I hope you were able to find what you needed. I still struggle to find many pics of his plane. There is a color painting of the plane out there somewhere which I am trying to relocate! Glad my niece saw this and contacted you. My email is pmcnett1@yahoo.com if you still need to chat.